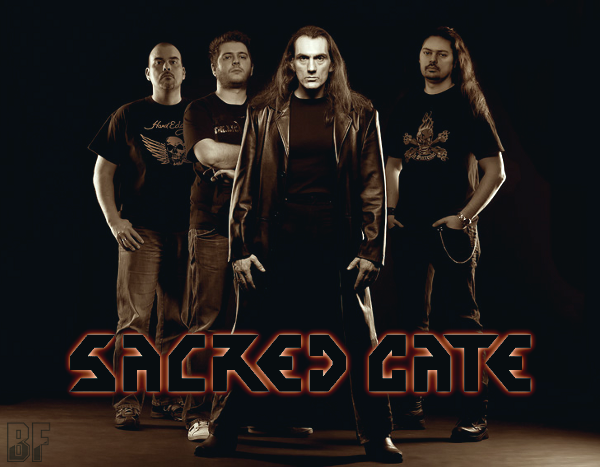 SACRED GATE is a traditional heavy metal band from Mönchengladbach, Germany, and formed in March 2008. They had been previously playing together in MADE OF IRON (formed in 1999), which originally was a cover band of IRON MAIDEN. Three years after the split of MADE OF IRON, some members have started under the name of SACRED GATE. In October 2008 Peter Beckers on Bass (in October 2008) and Christian Wolf on Drumes (in April 2010) joined in the band. In September 2011, the band released their self-produced EP “Creators Of The Downfall” that received very good critics and reviews from all over the world. The EP contained 3 studio songs (which would later be found on the band’s first full-length) plus 3 live cuts. 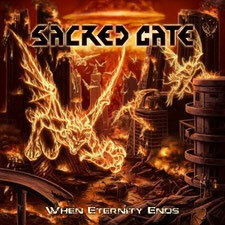 In April 2012 their debut album "When Eternity Ends" was released through Metal On Metal Records. It is a perfect album for all those who love their metal the way from back in the day: classic and without experimentation. Jim’s charismatic vocals, dynamic, melodic and full of passion, Nicko’s extravagant guitar work with fantastic solos, mighty riffs and double lead harmonies, Peter’s remarkable bass lines and Christian’s solid power drumming are the musical trademark of SACRED GATE. The catchy choruses, the impressive song structures and the intelligent lyrics prove the musical ability and potential of the band.